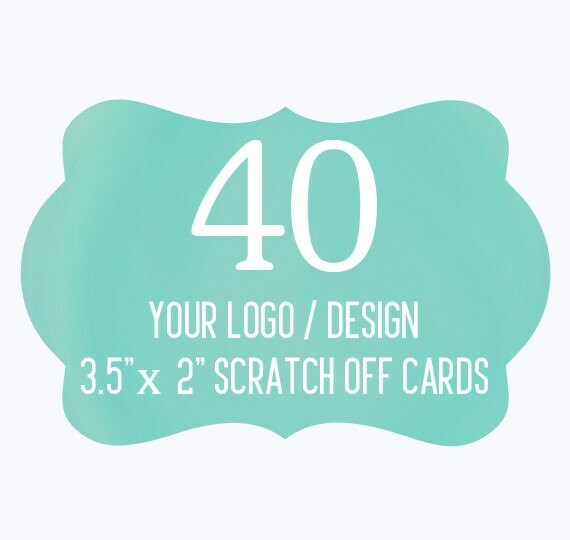 40 Custom Promotional Scratch Off Cards. Your purchase of 40 cards will come with 3 different variations. Love these! They came out great! Thanks so much! Fantastic all around. So fast and talented. Thank you!